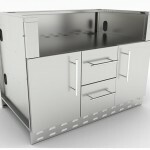 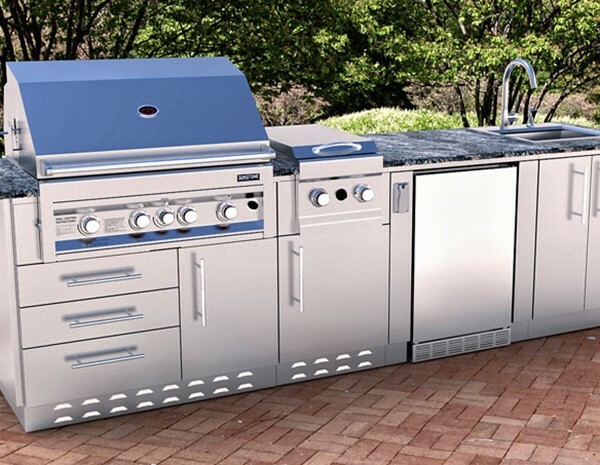 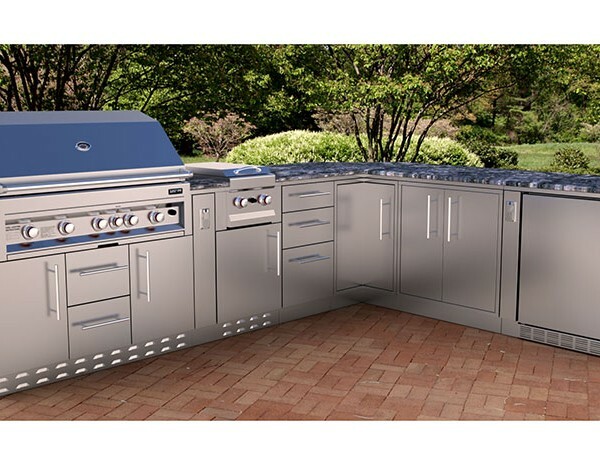 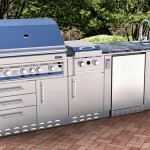 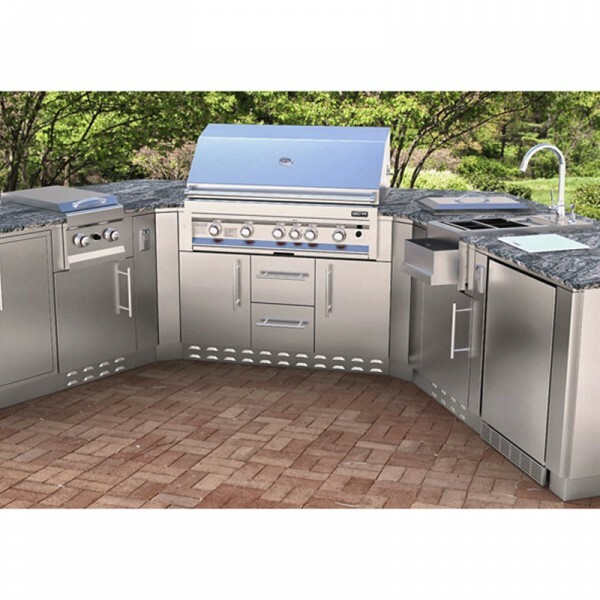 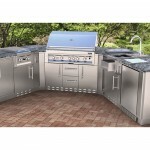 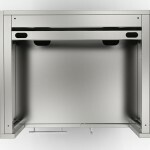 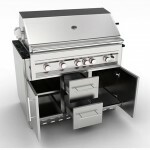 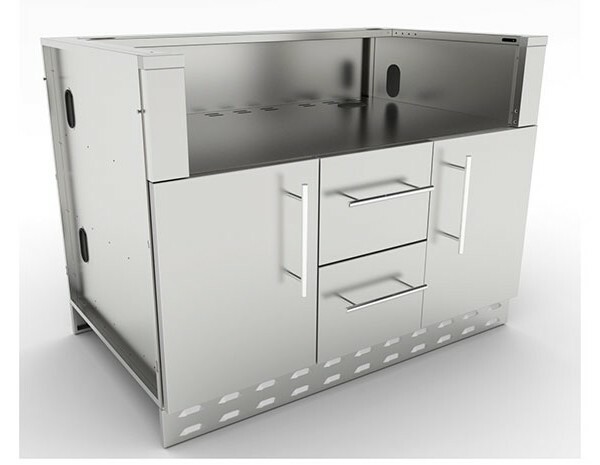 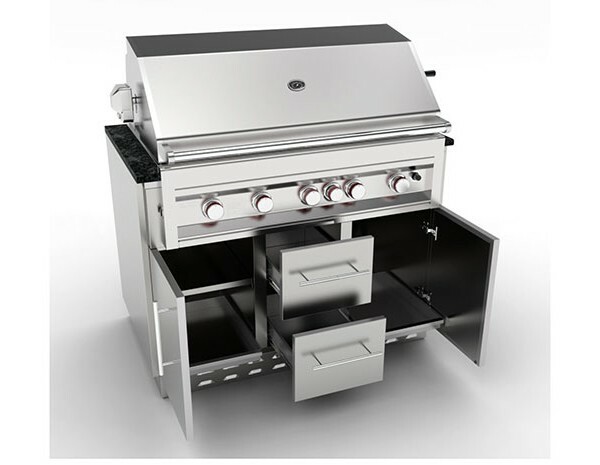 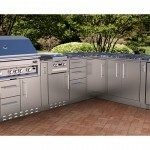 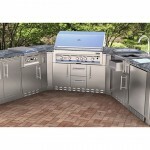 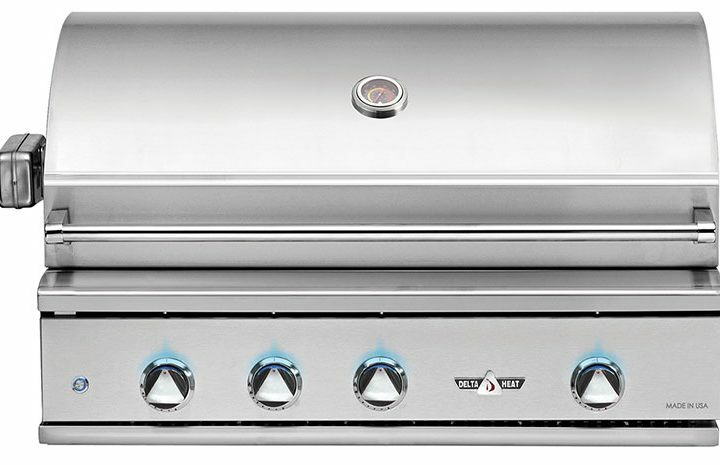 The 46″ Outdoor Cabinet is entirely built with 304 Stainless Steel 16 & 18 Gauge Material Grades, and is uniquely designed to receive multiple Gas Grill Brand Models right out of the box and with easy installation with simple Pin-Lock installation – No Tools Required. 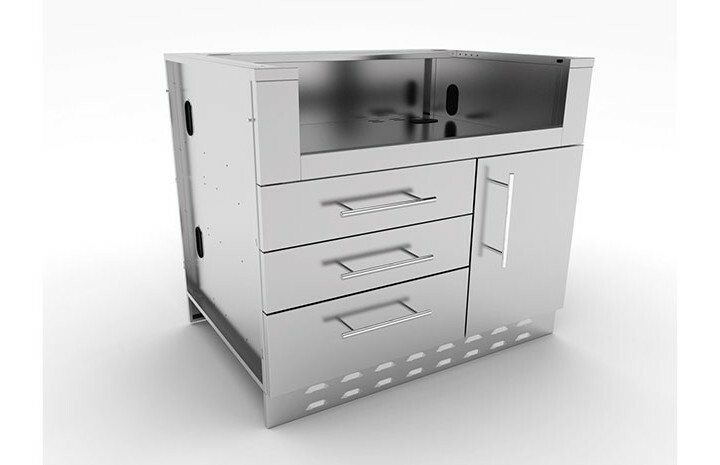 The cabinet comes standard with a Right Side Door Enclosure with interior bottom Tray-Drawer for use with a Propane Tank or Trash Bin while the Left side has Two Large Drawers with Ample Storage Space for all your BBQ Utensils, Rubs and Sauces. 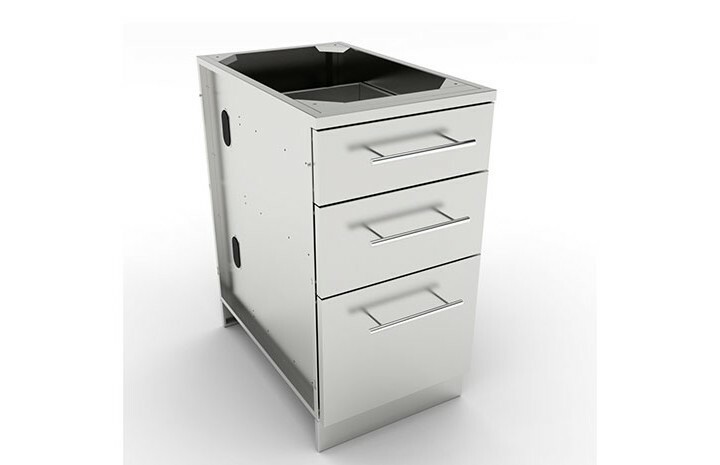 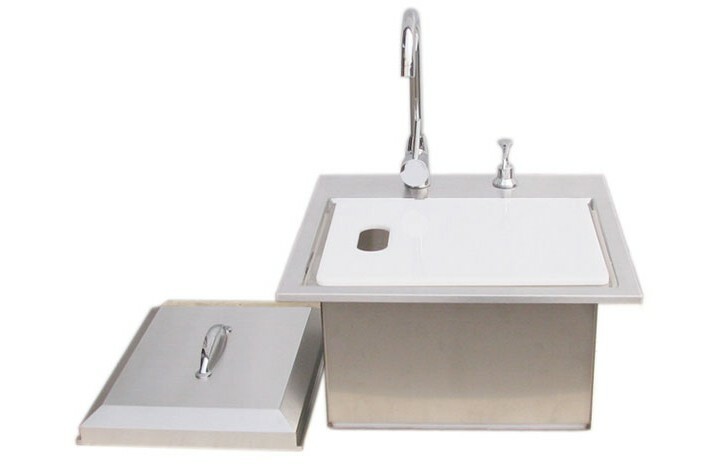 Included is the Removable Top Counter Rail, allowing you to make your counter as either Standard Bevel Edge or when removed make counter a Full Bull-nose edge. 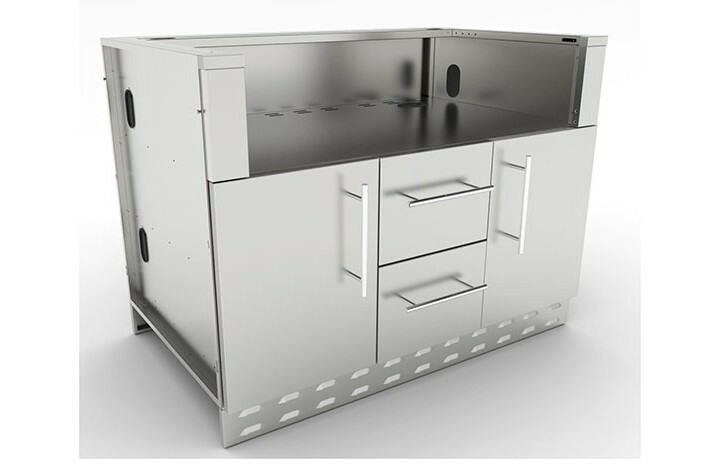 The cabinet is Fully Assembled, only requiring to fasten on the four included Peg-Legs, screw in place each 304 SS Rod Handles and mount the Front and Back Kick-Plates. 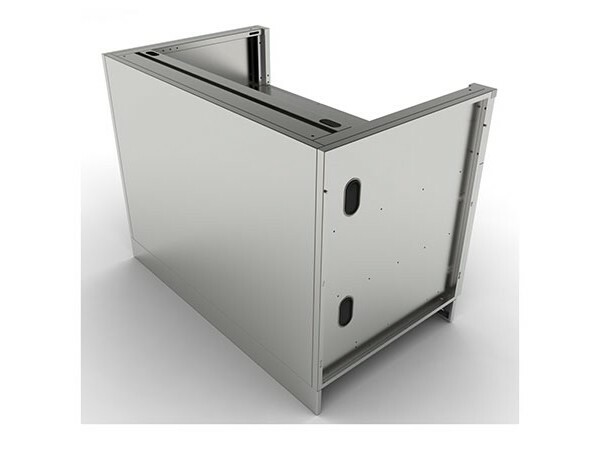 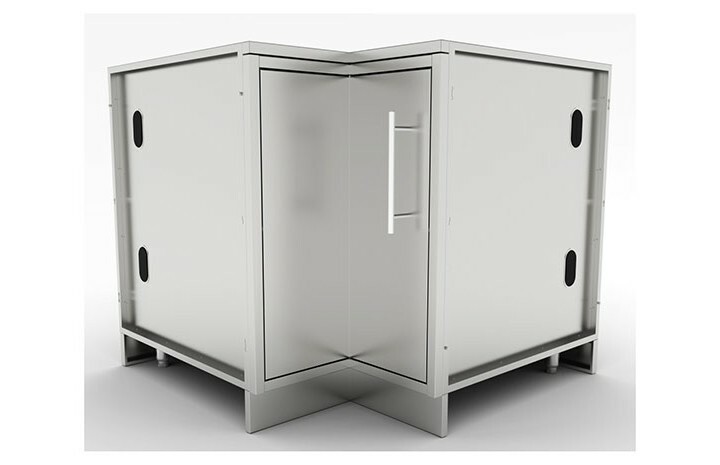 For easy utility installation there are multiple access ports, covered by black Snap-in plastic covers which allows unit to stay as tightly sealed as possible without compromising integrity of the cabinet. 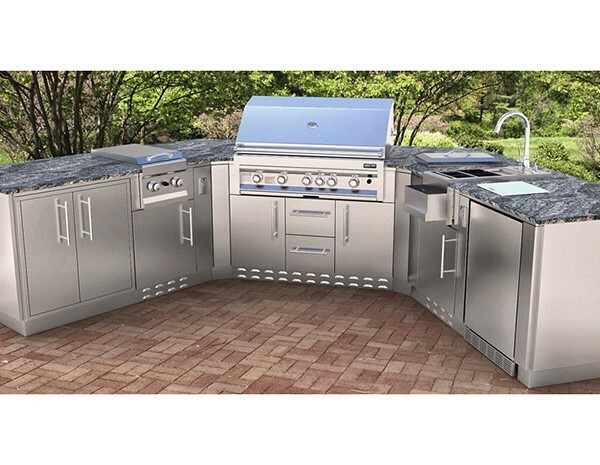 These high quality cabinets can be used as a free standing design or used in combination with stone cabinets to make a beautiful outdoor entertainment area. 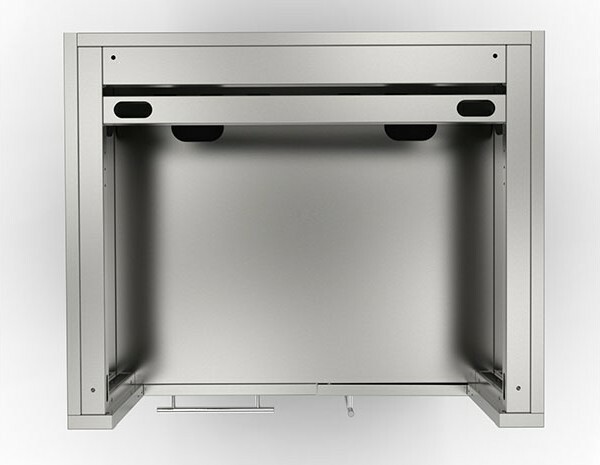 You can also back them up against a 42″ wall and use that as a social bar for seating. 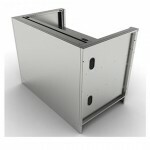 Very flexible and easy to install.